Valley Tweed is a sport-weight, 100% wool tweed yarn that's spun and dyed in Huddersfield, Yorkshire, the home of Rowan. This warm and lofty yarn is available in 10 traditional shades, making it a great choice for winter garments and accessories. Cascade 220 Sport Yarn is a similar yarn: 100% wool, hand wash, sport (24-26 sts/4 in), and 50 gram. You may also like Baa Ram Ewe Dovestone Natural Aran Yarn, which is another similar yarn: 100% wool and hand wash.
What about yarn that have the same look and feel? 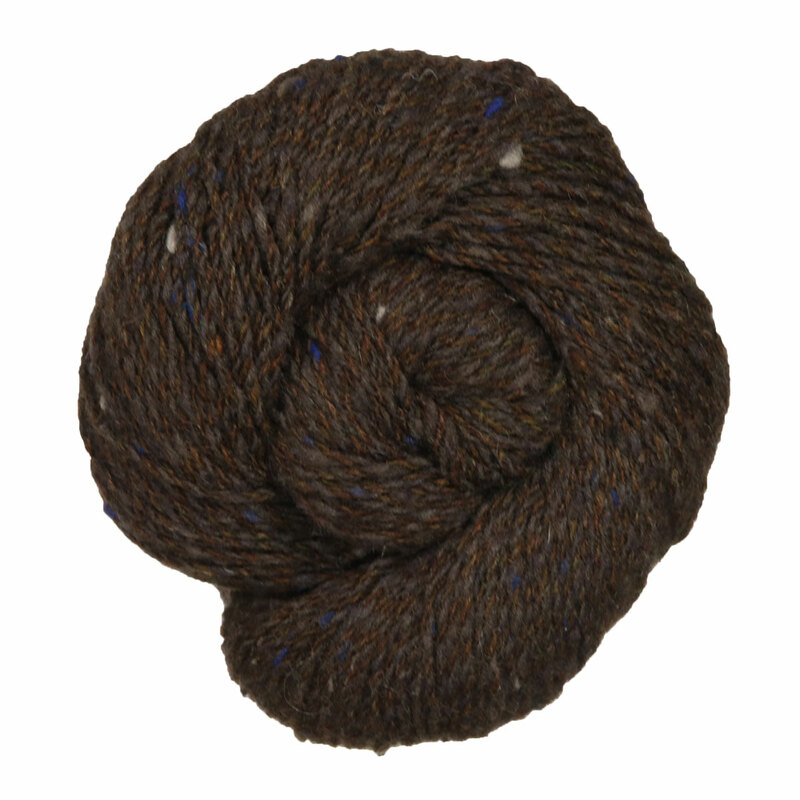 Find more yarn with a fine tweed texture, softens with wear and felts. You may enjoy taking a look at the Rowan Valley Tweed Dee Motif Cardigan, Rowan Valley Tweed Beautham Pullover, Rowan Valley Tweed Pom Pom Shawl, and Rowan Valley Tweed Circle Flowers Sweater kits all using Rowan Valley Tweed Yarn. 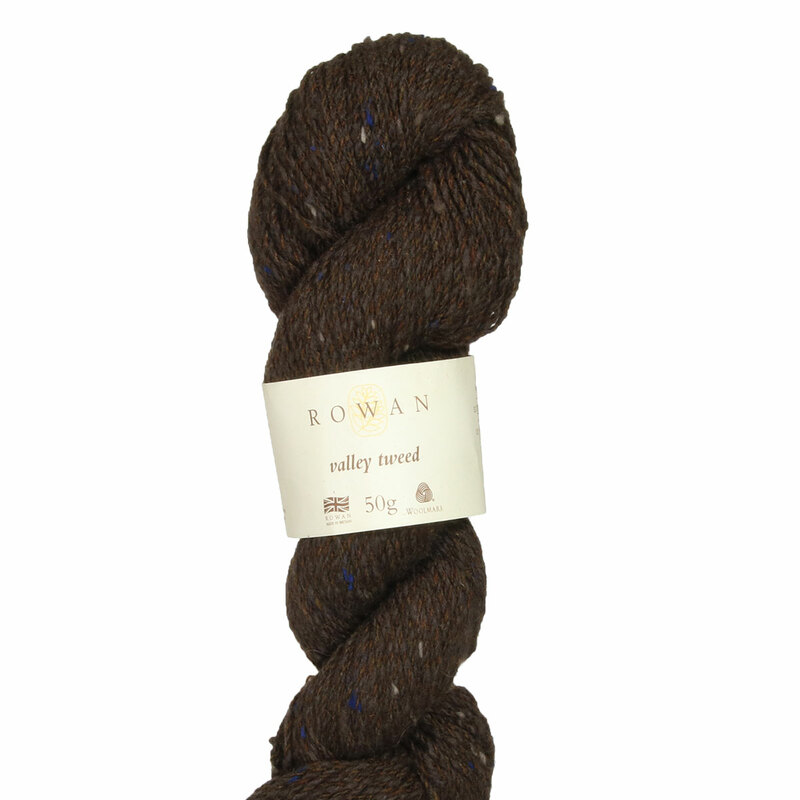 Hopefully our suggested project ideas for Rowan Valley Tweed Yarn can help you come up with your next exciting new project idea! Baa Ram Ewe Dovestone Natural Aran Yarn From $17.40 to $29.00Select colors on sale now!